Africa is in the midst of a creative revolution. A new breed of artists, musicians, and fashion designers is changing how the world sees and thinks about Africa and its people. 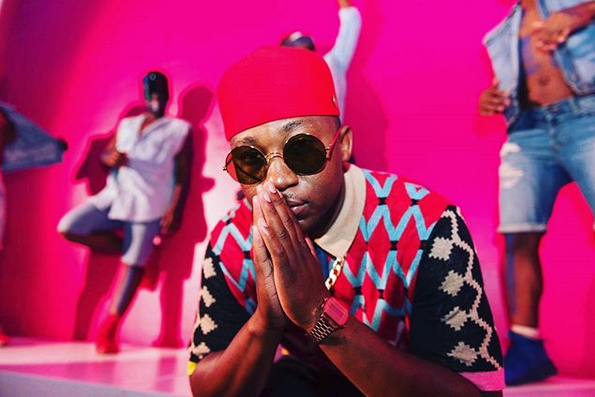 So Absolut and Khuli Chana are continuing their collaboration and this time by bringing together a heroic league of international artists from across the continent to celebrate and advance Africa’s creative revolution at One Source Live (OSL). On March 24, 2018, leading African creative revolutionaries in music, fashion and art will gather in Johannesburg for a spectacular all day live event with multiple stages, performances and collaborations geared at re-writing Africa’s story. Presented by Absolut, One Source Live builds on the momentum created in 2016 when Absolut brought Khuli Chana together with other leading Pan-African artists to produce Africa’s most collaborative album and video, One Source. It became the best selling record on iTunes. One Source Live will witness the collaborative rise of Five Creative Revolutionaries led by award winning rap-star Khuli Chana (South Africa / Music) standing alongside Sho Madjozi, (South Africa/ Music), Trevor Stuurman, (South Africa / Fashion) Fabrice Monteiro, (Senegal-Benin /Fashion, art), and Osborne Macharia, (Kenya/ Photography). One Source Live portrays the five as the superheroes – heroic avatars inspired by Africa’s history, mythology, and bright futures.